Google Glass hasn't yet hit the big time, but it's not a device that solves a problem. Meanwhile Google X research lab has been working on a smart contact lens that's both functional and discreet, and we might see it very soon. The contact lens analyses tears to measure the wearers glucose levels, which would allow diabetics to get a blood-sugar reading without drawing blood. A new patent application has revealed packaging designs for the smart contact lens, suggesting the project could be further along than we thought. In 2014 Google said it expected availability to be at least five years away, but as Quartz points out, the company has already been awarded 44 patents - with 53 more that it's applied for. 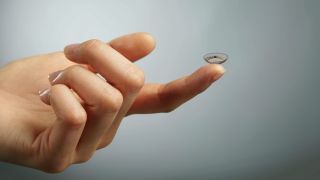 Further, Google has been in talks with the US Food and Drug Administration about testing the smart lens. It could still be a while off yet, but all this behaviour strongly suggests that this Google X project will actually make it out the door - and possibly sooner than predicted. Remember when Google also tried to make a jetpack?